This weaving workshop will explore chenille. Discussion will include properties of this fiber and what it is like to weave with it. Chenille is an unusual fiber with a luxurious feel. Being a unique fiber it brings different qualities to weaving. 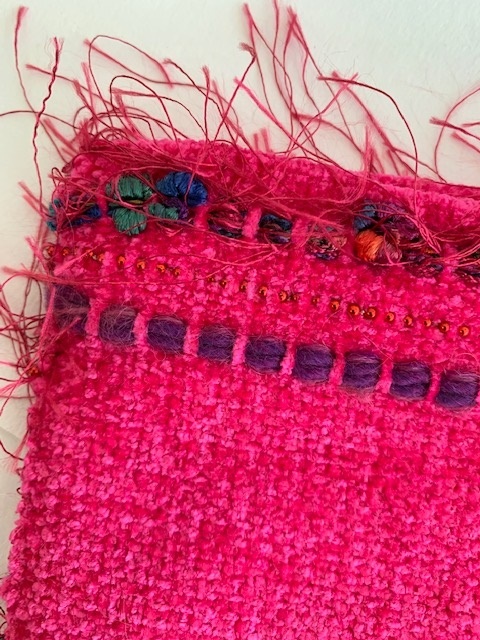 This weaving workshop will explore chenille. Discussion will include properties of this fiber and what it is like to weave with it. A loom will be set up with a chenille warp for the workshop/demonstration. 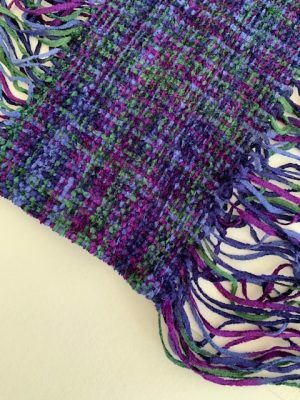 After the workshop, participants will be able to sign up for a time to return to the studio and weave a small piece using chenille. Prior weaving experience is recommended for this workshop. Refunds will not be given within one month of the start of a workshop. Workshops are not pro-rated. A $25 processing fee is withheld from all refunds. The Art Center reserves the right to cancel any workshop due to insufficient enrollment, in which case tuition will be fully refunded. Christine Anderson, a weaver and fiber artist, finds the intersection of threads both basic and centering to her life. Her work includes intricate woven tapestries of local landscapes and conceptual work that combines weaving with mixed media, including scanned digital images, handmade paper, fabrics, and beads. Originally from New England she completed a BS in Art from Cedar Crest College and a MFA in Fibers and Handmade Paper from East Tennessee State University.